South Korea’s Constitutional Court recently ruled that the criminal laws banning abortion are unconstitutional. In place for 66 years, it’s a landmark decision. South Korea’s Constitutional Court on Thursday ruled as unconstitutional a 66-year-old law that made abortion a crime punishable by up to two years in prison, calling for an amendment to the law. The court gave Parliament until the end of 2020 to revise the law. If lawmakers do not meet that deadline, the law will become null and void. It currently remains in force. The verdict represented a landmark, if tentative, victory for abortion rights advocates, who have campaigned for the law’s abolition as a major step in bolstering women’s rights. Polls show that allowing abortion has broad support among South Korean women of childbearing age. In a government-financed survey of 10,000 women ages 15 to 44 last year, three-quarters called for liberalizing abortion regulations. In its ruling, the court called the anti-abortion law “an unconstitutional restriction that violates a pregnant woman’s right to choose.” But it left it to Parliament to decide whether to restrict abortions in the late stages of a pregnancy. So that’s obviously the most important thing. 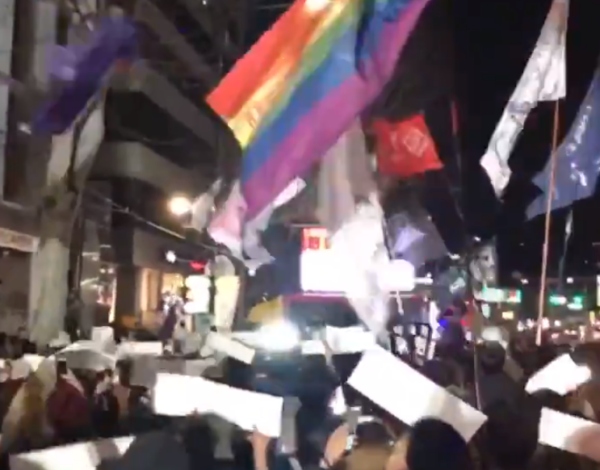 But also, to justify this being on the site, supporters of the ban being overturned have taken to singing SNSD‘s “Into The New World“, which continues to be used to rally for political causes.